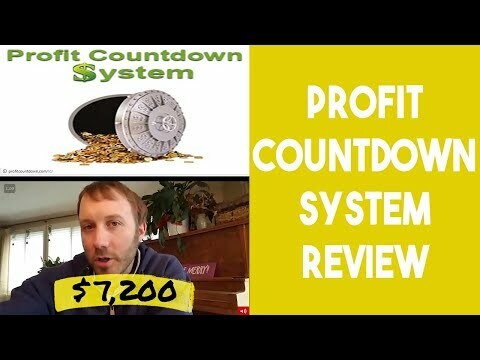 Profit Countdown Review - Make Money On Autopilot?! Welcome to my Profit Countdown review. If you're here reading this review, I'm assuming you've recently come across this website and are wondering if you can actually make money with this system, or if it's just another scam? I've taken the time to investigate into Profit Countdown for you guys to let you know what I think. Unrealistic claims. That was my first thought after landing on this website. Profit Countdown claim that you can earn $3000 a day on autopilot with little to no work. These claims are ridiculous. Just the like the claims that The Secret Society of Millionaires and Partner With Patrick make. If you've read those reviews already, you should know that I don't trust anyone who claims that you can make money on autopilot with little to no work involved.. especially for a beginner just starting out with no experience. I also don't like when websites use false sense of urgency to try to make you buy into something. Their sales video does this A LOT. He keeps talking about how this is a limited time thing, and there's not many spots left. But of course, this is not real. 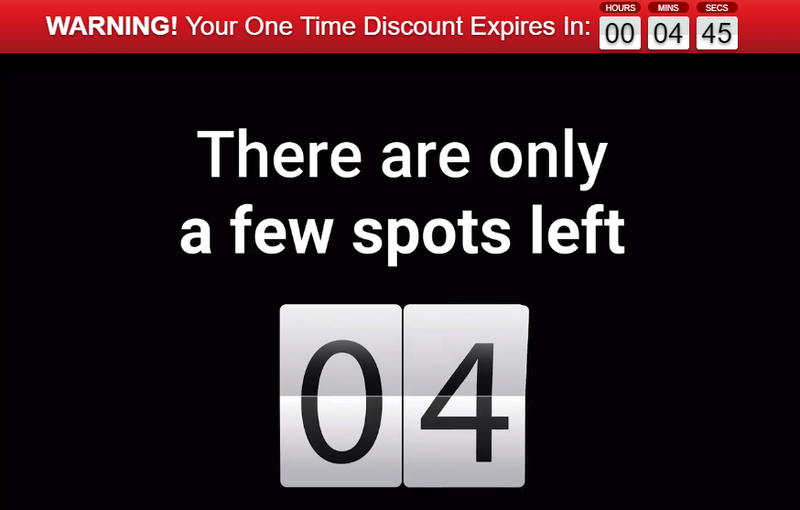 The timer resets every time you refresh the website, and the “spots remaining” changes every time. So they are just trying to trick you into thinking you need to purchase this straight away. Please don't fall for these scare tactics. What Exactly Is Profit Countdown? So after a little bit of digging, it didn't take lonto find out that Profit Countdown is just another sales funnel. I've talked about websites like this one before, like My Super Affiliate Mentor that was just directing us to The Super Affiliate Network. Profit countdown is very similar to those websites, however, this one is directing us to Digital Altitude. So, there's not much point talking about Profit Countdown anymore, as we now know that is just a sales funnel for Digital Altitude. So let's talk about that instead. I've talked about high ticket business opportunities in my past blogs. Just like MOBE and The Super Affiliate Network. Digital Altitude is no different to those. I NEVER recommend these high ticket businesses. They cost you far too much money to be able to start earning anything. We call these high ticket systems Pay to Play. That's because unless you pay, you can't play. And you're going to be paying A LOT. The initial cost for Digital Altitude is only $1. However, that will get you nothing at all. You will NOT be able to earn a penny with them from that. To be 100% involved and earn their maximum commissions, it will set you back $50,000. Yep, that's right.. Fifty thousand dollars. That's why we call them high ticket. It is ridiculously expensive to get involved. There are cheaper options available with them, but you won't be able to earn much money with those. You have to pay for the products first, which then gives you the rights to be able to resell their products. For example, if you purchase a $1,000 product, you then gain the rights to resell that product. But only that product. You can't sell a more expensive product. If you purchase their $50,000 product, then you have have the rights to sell that one. However, even once you've purchased the rights to sell their products, you will then have to do your own promoting and you will have to find clients yourself. They do give you training on how to do this, but, it is not easy. Imagine trying to find someone willing to spend $50,000 on an online system. That is not easy by any means. The Verdict – Is Profit Countdown a Scam? Every time I review one of these high ticket sales funnel websites. I can't actually say they're a scam, because you do actually get directed to a legitimate business opportunity. However, I do NOT recommend and will not ever recommend them. Simply because they cost too much and they are very similar to pyramid schemes. Watch Profit Countdown review video below and don't forget to subscribe to the YouTube channel.